We provide individual guidance at your home or our showroom in Cochranville, Pennsylvania to help you with the design process. Your cabinets are built in our own cabinet shop, using the highest quality materials and construction methods before we install them in your home. From design to installation, we ensure that all of our cabinetry will exceed your expectations. Have you noticed how much superbly crafted custom woodworking contributes to a room? Built-in bookcases, elegantly finished fireplace cabinets and convenient window wall drawers offer far more than useful storage locations. Homeowners can depend upon these fixtures to showcase the finest qualities of an interior design. As experienced cabinet makers, we help build gracious, fashionable residential interiors. By adding handmade cabinetry to a dwelling, you'll enhance the beauty and the quality of life supplied by daily living spaces in a supremely satisfying way! Our cabinet makers have helped create custom wood paneling and cabinets in homes throughout the Delaware Valley including King of Prussia, Fort Washington, Cherry Hill, and Plymouth Meeting. If you've desired to improve you residence by adding fine customized woodwork, the artisans of T.L. 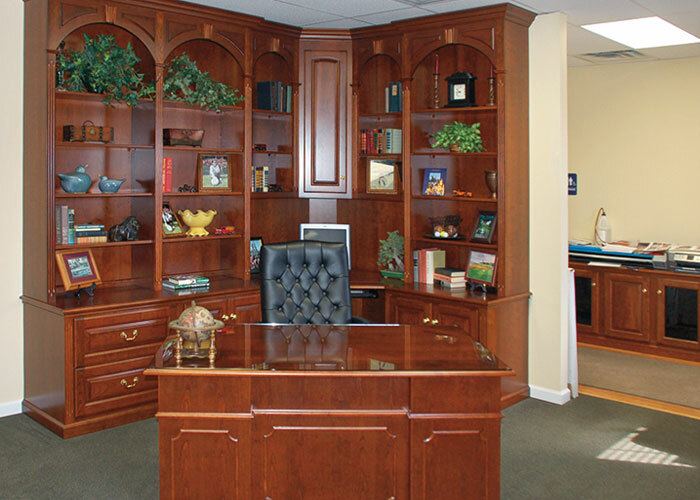 King Cabinetmakers can assist you in transforming your vision into an appealing reality! 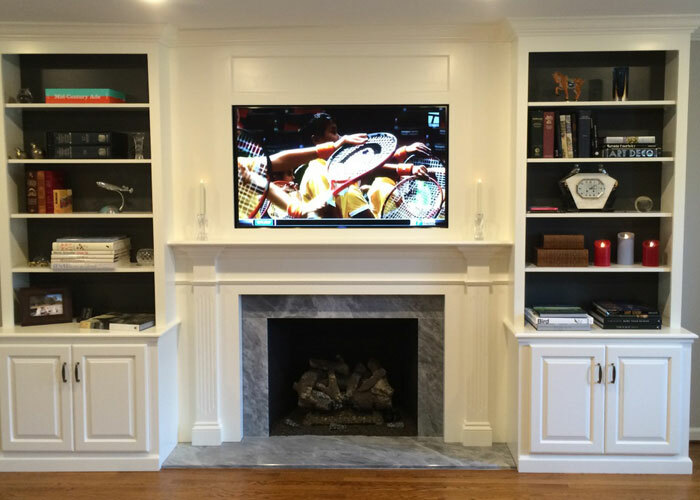 Ask our talented custom cabinet makers to help add the elegant shelving you require to turn a household den into a formal living room where you can entertain in style. Or request our assistance in turning a nice home office into a stunning work center with customized power desktops and impressive built-in cabinetry. If you ever place your home on the real estate market, the services of our local cabinet makers might contribute significantly to marketability. Visitors notice the distinctive ambiance of properties displaying fine customized woodwork. 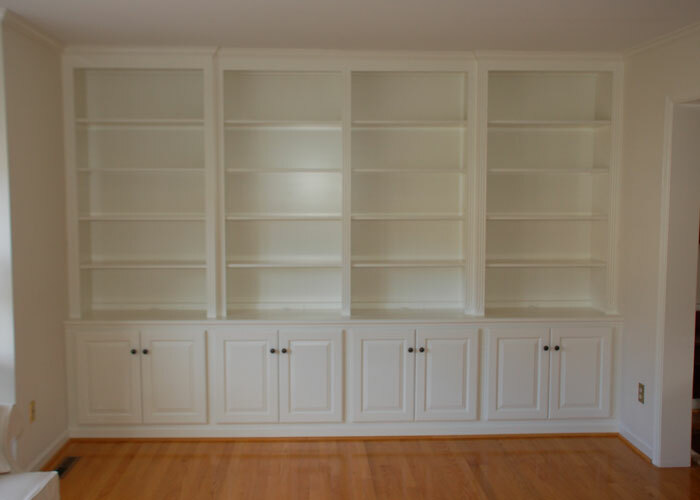 Contact our custom cabinet makers to perform work for you anywhere in the Delaware Valley, including Newtown, Kelton, Quarryville, Oxford, Kennett Square, and more! Nestled in the heart of Southeastern Pennsylvania, our work is inspired by the natural beauty and history of our area. T.L. 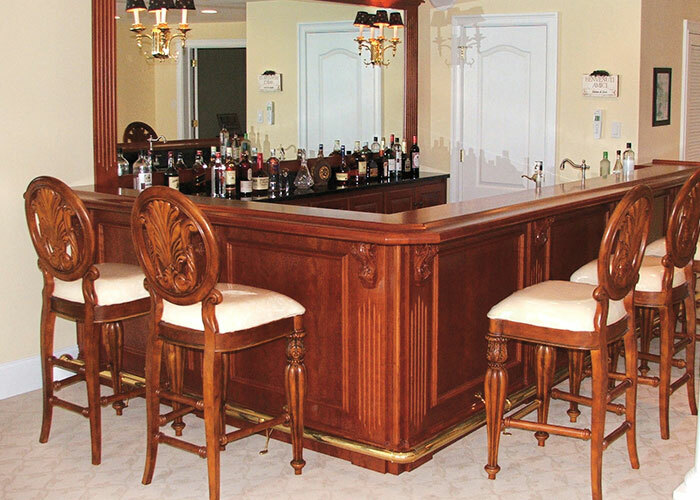 Cabinetmakers has been providing custom cabinetry to the Delaware Valley area for over 35 years. 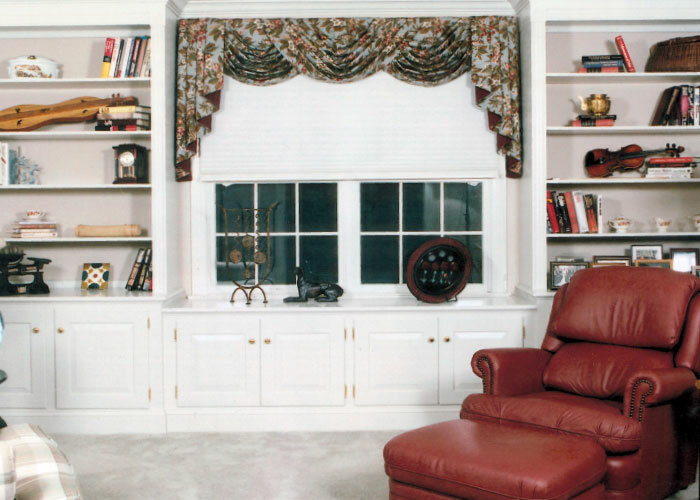 As experienced cabinet makers in PA, we've endeavored to uphold high standards of craftsmanship. 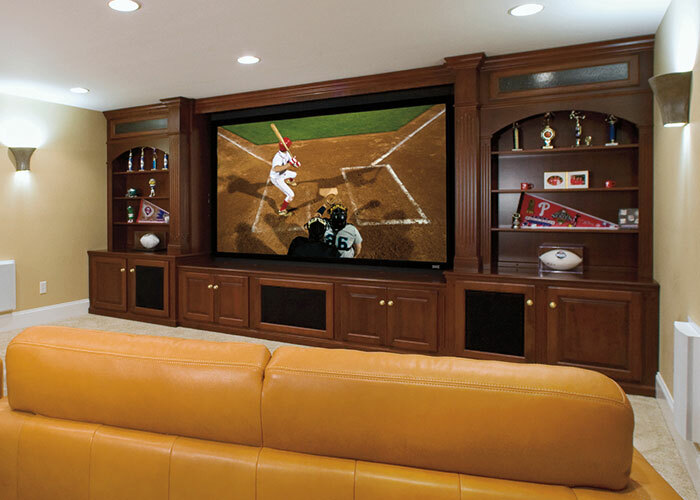 When you desire a built-in entertainment center or custom made cabinets for your home in Southeastern Pennsylvania, rely on us! Our local cabinet makers treat each project with meticulous care and attention. You'll notice the fine quality of our pieces, and the beauty they contribute to your premises. Call 610-213-5496 now to discuss how our high-end wood cabinetry could assist you in achieving your custom woodworking goals for your home. We hope to become your cabinet makers of choice in the Delaware Valley. 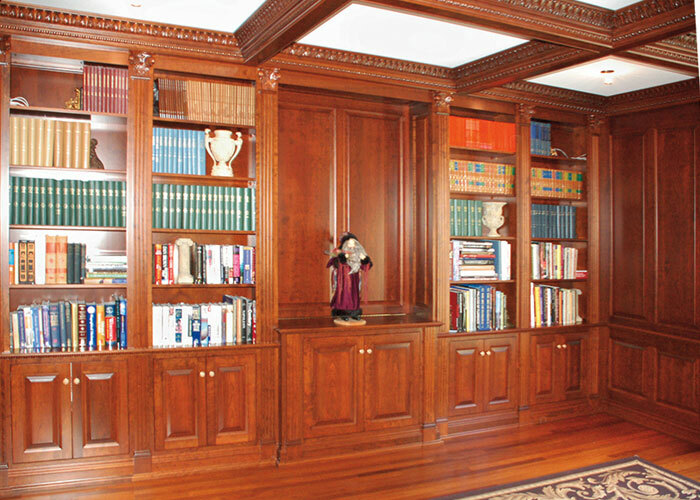 If you reside in the Philadelphia Main Line, including Lower Merion Township, Radnor Township, Gladwyne, or Villanova, select T. L. King Cabinetmakers when you seek fine cabinet work to enhance your living spaces!